Kangaroo Island SeaLink offers a wide range of Kangaroo Island tours. These include day tours that will take you to many of the highlights of this beautiful island, or you can see more on a one or two night extended coach tour. The island is perfect for self-drive holidays, so why not choose from our selection of one, two or three night self-drive packages, or one of the great value backpacker packages jam packed with adventure and unique island experiences. 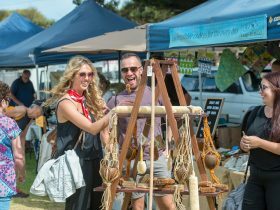 SeaLink also offers a range of seasonal packages and special deals, including the annual SeaLink Kangaroo Island Cup and the monthly Penneshaw Markets – please refer to our website for all of the latest offers. A two day Kangaroo Island tour – your chance to explore one of Australia’s finest nature based destinations. Early morning pick up from your Adelaide hotel for your scenic coach transfer to Cape Jervis and onto Kangaroo Island. First stop is Emu Ridge Eucalyptus Distillery. After lunch at Vivonne Bay Bistro, head to Seal Bay for a walk along the beach with a national park ranger amongst a breeding colony of rare Australian sea lions. Then it’s onto a Birds of Prey In-Flight display. Lastly travel to Kangaroo Island Wildlife Park where you can feed kangaroos, before being transferred to your choice of overnight accommodation. After your morning hotel pick up visit Clifford’s Honey Farm for a short tour and tastings followed by Hanson Bay Wildlife Sanctuary, where you will enjoy a Koala Walk. Then it’s on to Flinders Chase National Park for photo opportunities at Remarkable Rocks and Admirals Arch. At the end of the day you will be returned to Penneshaw for your ferry and coach transfer back to Adelaide. Operates: 6.45am day one to 10.40pm day two, daily except Christmas Day. NOTE: Option to fly home, or travel both ways by air is available. In the heart of South Australia’s outback, yet just an easy journey from Adelaide, the Flinders Ranges is one of the world’s ultimate destinations. From the grandeur of Wilpena Pound, to the ancient fossils at Nilpena, and all the points in between, you can experience it all on this great holiday. Plus you will spend a day tasting food and wine in the Barossa, visiting three wineries and Maggie Beer’s Farm Shop, as well as enjoy time to explore the many restaurants, bars and shopping in Adelaide. Package includes: 3 nights at Majestic Roof Garden Hotel, including buffet breakfast daily; Barossa Food & Wine Experience including lunch; 4 day Flinders Ranges Outback small group luxury 4WD tour with Flinders Ranges Odysseys, including all meals, accommodation and touring. Base yourself at the quiet, friendly fishing village of American River and discover the eastern end of Kangaroo Island. American River is a bird-watching paradise and a great place to try local fresh oysters. There’s an impressive stretch of coastline around this area including the spectacular Pennington Bay, a photographer’s dream and a very popular place for fishing. 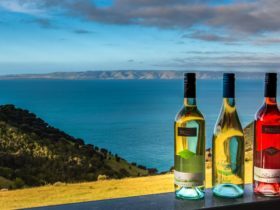 Enjoy 3 nights in Adelaide with touring to the Barossa or Adelaide Hills before experiencing Kangaroo Island’s local produce and spectacular scenery whilst staying in Penneshaw. Package includes: Three nights accommodation at the Stamford Plaza Adelaide, choose from a full day Barossa Food and Wine Experience or Barossa and Hahndorf Highlights tour with Adelaide Sightseeing, including lunch and wine tastings, return SeaLink coach and ferry transfer to Kangaroo Island, three days rental car with Budget on Kangaroo Island, two nights accommodation at Kangaroo Island Seafront, Penneshaw (or similar) including daily buffet breakfast, bottle of KI wine on arrival, $60 dinner voucher to use at Penny’s Restaurant, gourmet lunch at Dudley Wines and wine tasting and savoury platter at Bay of Shoals Wines. Travel to Kangaroo Island in the comfort of SeaLink’s luxurious car and passenger ferries ‘Sealion 2000’ and ‘Spirit of Kangaroo Island’. 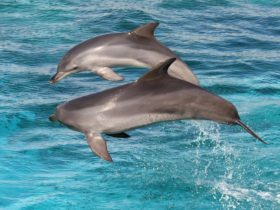 The vessels have a cafe and licensed bar, television and video monitors, air-conditioning and a dolphin viewing deck. The crossing from Cape Jervis to Penneshaw takes only 45 minutes. Your holiday starts the moment you step on board. Operates: Ferry departs daily except Christmas Day. Experience Kangaroo Island’s local produce and spectacular scenery on this tasty self-drive short break. Enjoy a gourmet lunch at Dudley Wines, wine tasting at Bay of Shoals Winery, and breakfast at the Kangaroo Island Seafront and a dinner voucher at Penny’s Restaurant, as you discover the delicious wonders of the Dudley Peninsula. Package includes: Return SeaLink ferry for two adults and a standard size vehicle, two nights accommodation at the Kangaroo Island Seafront, Penneshaw, a welcome bottle of Kangaroo Island wine, AUD60.00 dinner voucher for Penny’s Restaurant, buffet breakfast daily, gourmet lunch at Dudley Wines, Bay of Shoals Wines tasting and KI Produce platter. Enjoy superb ocean views from your accommodation at Emu Bay, situated on the north coast of Kangaroo Island. A very popular spot for holiday makers, Emu Bay boasts a beautiful 4.5 kilometre white sandy beach with vehicle access as well as safe, clear water for swimming and water activities. Being so central to Kingscote, it makes a great base to explore the island at your own pace. 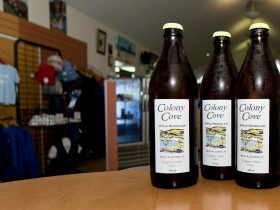 Package includes: Return SeaLink ferry for two adults and standard size vehicle, three nights accommodation with breakfast basket at Emu Bay Holiday Homes, welcome bottle of Bay of Shoals wine with two souvenir wine glasses, voucher booklet valued at $25, entry fee into Kangaroo Island Wildlife Park in Parndana, and tastings at Bay of Shoals Wines. Experience the scenic Adelaide Hills region including the historic town of Hahndorf, the popular wine region of McLaren Vale, and the natural beauty of Kangaroo Island. Package includes: Six days car hire from Adelaide Airport/CBD, one nights accommodation at Sage Hotel Adelaide, one nights accommodation at The Manna of Hahndorf, return SeaLink ferry for two adults and standard size vehicle, two nights accommodation at Mercure Kangaroo Island Lodge in American River and one nights accommodation at McLaren Vale Motel and Apartments. Kangaroo Island is renowned for its stunning landscapes, unique geological formations and spectacular coastlines. However, on this Kangaroo Island tour, you will get to see and experience more! Sample the local fare, enjoy delicious food as it was meant to taste, and spoil your senses with 2 magical days! On Day One taste a range of food and wine – Award winning wines at Dudley Wines, honey products at Island Beehive, and premium Australian spirits at KI Spirits. Finish the day at Flinders Chase National Park and Remarkable Rocks, watching the sunset with a glass of Australian “bubbles”. Day Two has you exploring Admirals Arch and Remarkable Rocks further, plus an underground tour of the largest cave at Kelly Hill Conservation Park. Enjoy a gourmet picnic for lunch, followed by the In-Flight Birds of Prey Display at Raptor Domain. Departs Monday, Wednesday & Friday at 6.45am from Adelaide Central Bus Station or selected Adelaide hotels. For a perfect island holiday, why not explore the hideaways of Kangaroo Island? With the convenience of your own car, accommodation and some meals, discover the white sandy beaches of the north coast, the seclusion of Stokes Bay, or enjoy a delicious picnic lunch in one of the many National Parks. Package includes: return SeaLink ferry for two adults and a standard size vehicle, two nights accommodation at the Ozone Hotel, Kingscote, a welcome bottle of Kangaroo Island wine, AUD84.00 dinner voucher for the Zone Restaurant, full buffet breakfast daily and a picnic basket lunch for two. Let SeaLink take care of you and experience 4 nights in Adelaide, the Barossa and Kangaroo Island on this great six day holiday. 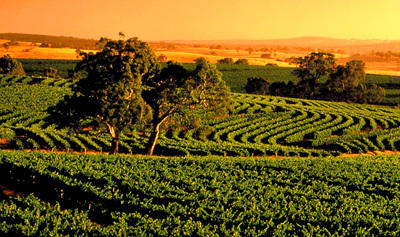 Package includes: Four nights accommodation at Chifley on South Terrace, Adelaide; choice of a full day Barossa Food & Wine Experience or Barossa & Hahndorf Highlights with Adelaide Sightseeing; half day Adelaide City Highlights; 2 day Best of Kangaroo Island tour, including overnight accommodation at the KI Seaside Inn with continental breakfast. Enjoy a stay in the delightful city of Adelaide and a two day tour to Kangaroo Island. Finish your South Australian experience with a three night Discovery Cruise on the beautiful and historic Murray River aboard the PS Murray Princess. Package includes: Three nights accommodation at Majestic Roof Garden Hote in Adelaide; full day Ultimate Adelaide & Hahndorf tour with Adelaide Sightseeing; two day Best of Kangaroo Island tour with SeaLink including one nights accommodation at Ozone Hotel and lunches on both days; and three night Discovery Cruise on the PS Murray Princess (inside cabin) including all meals, entertainment and onshore excursions. Your Kangaroo Island tour begins with your scenic coach transfer to Cape Jervis. 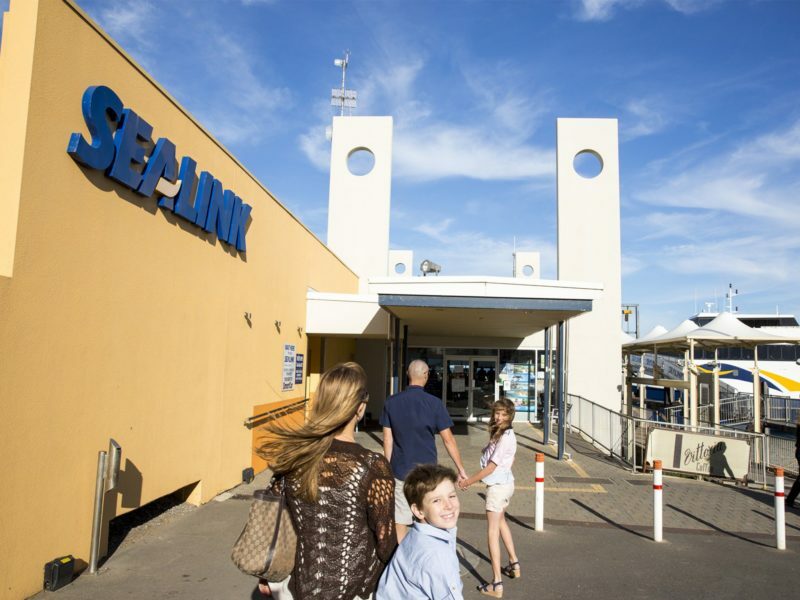 You’ll then board SeaLink’s fast and comfortable ferry for the 45-minute crossing to Kangaroo Island. Visit highlights such as Seal Bay Conservation Park where you will take a beach walk with an experienced guide amongst a colony of rare and wild Australian sea lions. Head to Vivonne Bay for a two-course lunch, before continuing for a walk through Hanson Bay Wildlife Sanctuary where you will see the koalas relaxing in the shady eucalyptus trees. Spend the afternoon at Flinders Chase National Park, where you may see native animals including kangaroos, wallabies, koalas and echidnas. Get some awesome photos at Remarkable Rocks and Admirals Arch (a natural nursery and safe haven for Long-nosed Fur Seals that can be seen resting or playing in the waves or on the rocks). Your tour concludes at the ferry terminal for your return ferry/coach journey to Adelaide. Operates: Daily, except Christmas Day, 6.45am to 10.45pm. Note: The tour outlined is a 16 hour day. You can reduce your time by either taking the coach/ferry one way, and returning by air, or travel to Kangaroo Island both ways by air. There are so many fun things for families to do on Kangaroo Island, including sandboarding races at Little Sahara, and Raptor Domain’s Birds of Prey In-Flight Display. Plus the popular attractions – Seal Bay, Remarkable Rocks and Admirals Arch. This will be three days of fun you’ll be talking about for the rest of the year! Package includes: return SeaLink ferry travel for two adults, two children (3 to 14 years) and a standard size vehicle, two nights accommodation at Vivonne Bay Holiday House, plus Raptor Domain Ultimate Interactive Pass (includes entry to Birds of Prey, Fang-Tastic and Venom Pit). 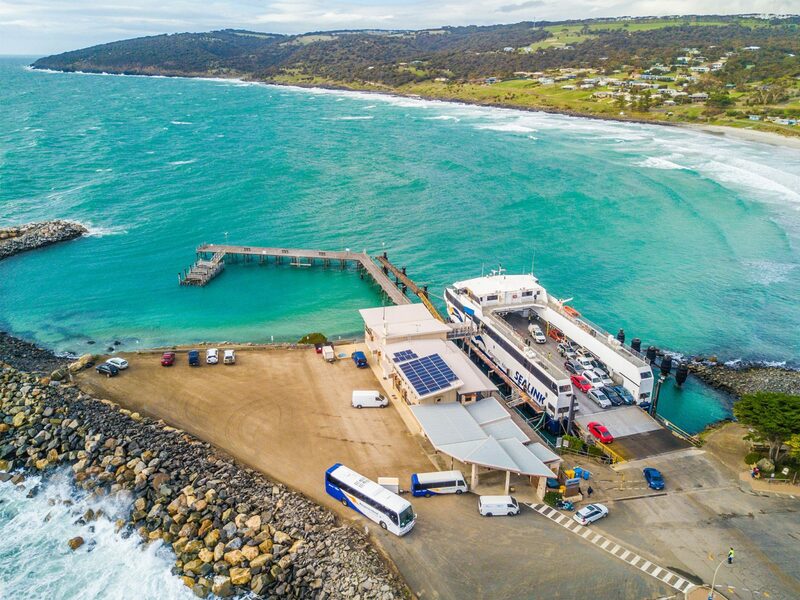 Kangaroo Island is a perfect destination for a self-drive holiday, and SeaLink has a range of great options for you to choose from. Many people underestimate the size of the Island and the huge number of things to see and do, so we recommend a minimum of three days. This package includes return SeaLink ferry fares with vehicle (up to five metres in length), plus two nights twin share accommodation in either Kingscote, Penneshaw or American River. Prices are based on twin share – extra nights are available on request. 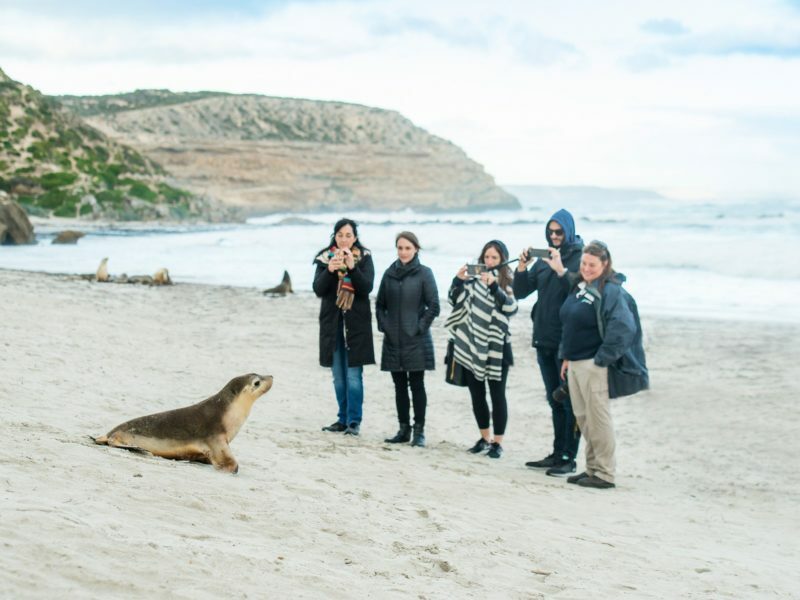 This Kangaroo Island tour has it all, and is aimed at the more spirited, budget traveller who enjoys experiencing places and attractions not on the main route. Guests travel in small groups on a mid-size coach for a fun and informal yet informative two days of touring on Kangaroo Island. Day One – Following your scenic coach and ferry transfer to Penneshaw, visit such highlights as Rob’s Shearing and Sheepdogs, Emu Ridge Eucalyptus Distillery and Little Sahara. Enjoy a guided beach walk at Seal Bay, with free time at Vivonne Bay Lodge – choose from kayaking, cycling, walking trails or swimming. Dinner tonight is a delicious barbecue. Day Two – Search for koalas at Hanson Bay Wildlife Sanctuary, and then at Flinders Chase National Park see Remarkable Rocks and Admirals Arch. After lunch head to Stokes Bay and explore the spectacular North Coast (weather/time permitting) before returning by ferry and coach to Adelaide. Note: Tour previously known as Kangaroo Island Wilderness Explorer. Operates: Daily (December to March); Monday, Wednesday, Thursday and Saturday (April and November); Wednesday and Saturday (May to August); Monday, Wednesday and Saturday (September to October). Note: Ferry/Fly option available – ask your consultant for details. Explore Kangaroo Island from coast to coast at your own pace on this popular self-drive short break. Relax and take your time to visit all the great attractions on the island, including Flinders Chase National Park, Seal Bay, and the Northern Beaches. Package includes: return SeaLink ferry for two adults and a standard size vehicle, two nights accommodation at Kangaroo Island Seaside Inn, Kingscote, two nights accommodation at Kangaroo Island Wilderness Retreat, near Flinders Chase National Park, continental breakfast daily, and a welcome bottle of wine and picnic lunch from Kangaroo Island Wilderness Retreat. Take time to discover South Australia’s iconic Barossa wine region and enjoy the wilderness playground of Kangaroo Island. 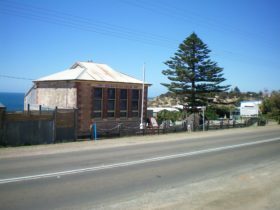 Package includes: Six days car hire from Adelaide Airport (or central business district); two nights accommodation at Lyndoch Hill, Barossa; return SeaLink ferry for two adults and standard size vehicle; two nights accommodation at Kangaroo Island Seafront, Penneshaw (or similar); one nights accommodation at Sage Hotel Adelaide. Discover the amazing Seal Bay on this popular Kangaroo Island tour. An early morning scenic coach journey to Cape Jervis to connect with the SeaLink Ferry for the 45 minute crossing to Kangaroo Island. Visit Emu Ridge Eucalyptus Distillery and learn about the history of the oil distillery. Then it’s onto Vivonne Bay Bistro located on a 260 hectare bush property, for a delicious two course lunch. After lunch visit Seal Bay Conservation Park and enjoy a guided beach walk amongst a breeding colony of wild Australian sea lions. Your tour will then visit Raptor Domain for the fascinating In-flight Birds of Prey Display, an interactive experience to meet an array of birds and raptors. Lastly travel to Kangaroo Island Wildlife Park and get up close with koalas, hand feed kangaroos and wallabies, learn about endangered species and interact with snakes and reptiles. Late this afternoon return to Penneshaw Ferry Terminal for the return journey to Adelaide. Looking for a Kangaroo Island tour when you are already on the island?? Why not join our Remarkably Wild tour. After your morning hotel pick up, visit Clifford’s Honey Farm to enjoy a talk by the beekeeper followed by tastings and time to sample homemade honey ice-cream and beauty products. 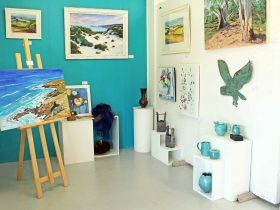 Then travel to Hanson Bay Visitor Centre Café for a two course lunch. After lunch look for Koalas nestled up in the eucalypts and see an abundance of native birdlife in the wildlife sanctuary. Travel to Flinders Chase National Park, where you will be taken to the rugged southern coastline. Remarkable Rocks provide great photographic opportunities and stunning sea views. Admirals Arch boardwalk takes you down a rugged cliff face to reveal this spectacular arch, a natural nursery and safe haven for playful Long-nosed Fur Seals that can be seen swimming and playing in the waves, or resting on the rocks. There is also a possibility that you will see more wildlife on your return journey back to your overnight accommodation on Kangaroo Island. Operates: 9.00am (ex Penneshaw); 10.15am (ex Kingscote); 10.25am (ex American River), daily (Apr, Oct-Mar) or Mon, Wed, Fri & Sun (May-Sep). Does not operate Christmas Day. Discover one of Australia’s newest walking trails, on this great Kangaroo Island tour package! Towering cliffs of limestone and coagulated magma, storm-blasted coastal scrub and massive arcs of bone white beach; this is the wildness that awaits you on the Kangaroo Island Wilderness Trail. Few places in the world remain that provide such a setting for inner, deep listening and quiet, still awareness. Look around you and within – the opportunities for discovery are endless. Including ferry transfers, entry fee for the walk, plus a transfer back to your vehicle at Flinders Chase Visitors Centre, this package can be extended or tailormade to suit your requirements. Towering cliffs of limestone and coagulated magma, storm-blasted coastal scrub and massive arcs of bone white beach; this is the wildness that awaits you on one of Australia’s newest walking trails, the Kangaroo Island Wilderness Trail. The unimaginable beauty of this part of the world has to be seen to be believed – and on this great package you can choose to walk for 3, 4 or 5 days, plus enjoy the luxury of a hot shower, 2 course dinner and a comfortable bed at the end of each day. Package includes: Return ferry transfers including a standard size vehicle to/from Cape Jervis; 3 or 4 nights at Kangaroo Island Wilderness Retreat, including continental breakfast and 2 course dinner daily; 3, 4 or 5 day walk on the Kangaroo Island Wilderness Trail; KI Wilderness Trail Pass, Map & Guide; Transfers to/from the walk each day; Picnic lunch on full days of walking. Explore all five days of one of Australia’s newest walking trails, the incredible Kangaroo Island Wilderness Trail, and see some of the most untouched landscapes of Kangaroo Island. This package includes five nights accommodation at Western Kangaroo Island Caravan Park, with transfers to the trail each day. Without having to carry your camping and other supplies, you can enjoy the comfort of a shower each night, and get a good sleep, before setting off to hike again the next morning. Package includes: Return ferry transfers including a standard size vehicle from/to Cape Jervis; 5 nights at Western KI Caravan Park & Wildlife Reserve (Powered Site or 2 Bedroom Cabin); 5 day walk on Kangaroo Island Wilderness Trail including Pass, Map/Guide and daily transfers to/from the Trail. Package includes: Three nights accommodation at the Stamford Plaza Adelaide, including buffet breakfast each day; full day Barossa Food and Wine Experience with Adelaide Sightseeing, including lunch and wine tastings; full day Kangaroo Island Experience, including return SeaLink coach and ferry transfers to Kangaroo Island, touring and 2 course lunch. Package includes: Two nights accommodation at the Stamford Plaza Adelaide, including buffet breakfast each day; full day Barossa Food and Wine Experience with Adelaide Sightseeing, including lunch and wine tastings. Experience the popular coastal town of Victor Harbor and the Fleurieu Peninsula, and finish off with the pristine wilderness of Kangaroo Island. Package includes: Three nights accommodation at Chifley on South Terrace (or similar); Ultimate Adelaide and Hahndorf full day tour; half day tour to Victor Harbor (with drop off in Victor Harbor); one nights accommodation at Hotel Victor; 2 day Best of Kangaroo Island tour, including one night at the Kangaroo Island Seaside Inn with continental breakfast.